Interesting way to bake Atta biscuits in a kadai. These whole wheat biscuits are crisp and so tasty to eat that you will want to bake atta biscuits over and over again. 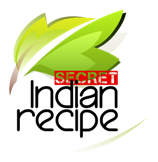 Suhan Mahajan's Secret Indian Recipe ! 1. Sieve atta, besan, cooking soda, and cinnamon powder. Keep it aside. 2. In another bowl, take ghee along with butter. Mix well and then add sugar. Cream the sugar and ghee mixture till light and fluffy. 3. Add in the dry ingredients in the wet ingredients along with semolina. Prepare a soft dough using very little milk as possible. Just add milk in batches. 4. Once biscuits dough is ready, roll it up in form of cylindrical logs. Wrap with cling film or foil paper and keep in fridge for half an hour so that dough becomes firm. 5. Meanwhile keep the kadai for preheating using salt. Place a stand and cover he kadai for 10 min for heating. 5. Then cut the log into desired size of biscuits and garnish with sliced almonds or tutti fruity or any other dry fruit. 7. Place all the biscuits on a steel plate covered with greased foil paper. Place the plate in heated kadai and cover it and bake for 25-30 min. After 15 min check the biscuits in between and flip the biscuits so that these cook evenly from both the sides. 8. Once biscuits turn golden brown, switch off the flame and remove the plate from the kadai. Cool it down completely and store in an airtight jar.